Trying to understand and meet Cambodian girls? This is a must read, written just for you. Cambodia is becoming popular with retiring expats and digital nomads as Thailand becomes tougher on visa laws, plus, Cambodia is offering better value for money, and it’s a country on the up and up. So, you have your visa sorted, you have made it to the country, and you are settled in, I guess now you are looking for a girlfriend, right? Not so fast. Let’s understand a little about all that you can find in the country, some local culture, and the different types of girls. Firstly, Cambodia is nothing like Thailand. Cambodia is far more reserved, and the women are far more traditional and conservative. That said, for guys seeking short-term flings, or just looking to hook up and get laid, well, there is no problem, you will find that here too. So let’s talk about that first and let’s start with Phnom Penh, and then talk about Siem Reap, followed by Sihanoukville. There are bars in Cambodia similar to Thailand where they have bar girls working and if you like the girl, and the girl likes you, you may be able to pay a “bar fine” and go home with the girl. A bar fine is like compensation to the bar for losing one of their workers for the night. After that, you’ll still need to negotiate with the girl as to what kind of fee she desires and how long you are going to stay together which is usually one-hour or all-night. In Phnom Penh bar girls are normally registered with the bar, thus needing to pay the bar fine. Similar to Thailand this does give you some security knowing that if you have a misunderstanding then you can visit the bar to discuss. Most bar girls in PP will also speak some English. 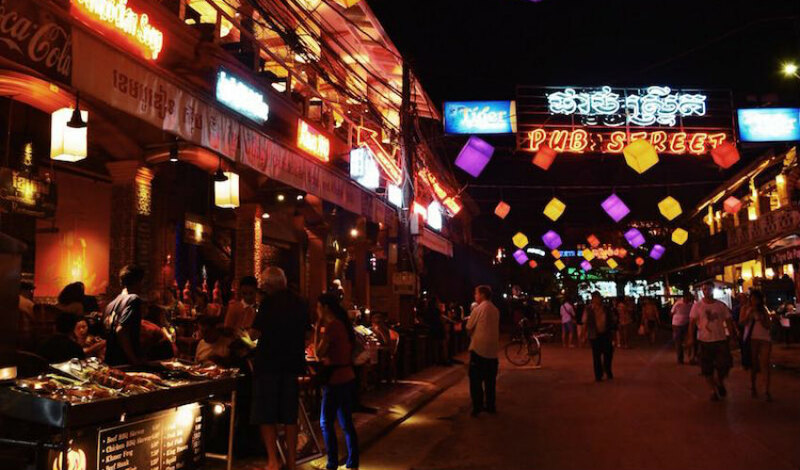 Popular places to go and meet bar girls in Phnom Penh are located in Street 51, Street 104, Street 118, Street 130 and Street 136, Street 172 and Golden Sorya Mall. You’ll have no trouble spotting them. Some of the popular bars include Candy Bar, Red Fox, Shanghai Bar, Fuel Bar, Honeypot Bar, Blue Bird, Cheries Bar, Dragonfly, X-Dream Bar, Fire Bar, Loco, Sensations, Angry Birds Bar, Happy Time Bar, Black and White Bar, Barbados Bar, Caramel Bar, Intoxica Bar, 136 Bar, and Lucky Girl Bar. Yes, there’s a lot, and that is just some not all. What are the prices for bar girls in Phnom Penh? Drinks at girls bars are sometimes a little more expensive but not outrageous at $2 for a beer. Girls will ask you to buy them a whiskey and coke, they’ll just go get a coke and pocket the change. As for going home with a girl, bar fine is a standard 10 USD and the rest is negotiated with the girl being anywhere from 30-50 USD. Some girls are not connected with the bar in anyway. They’ll usually come out after 9 pm and cruise the bars where foreigners hang out. If a sexily dressed girl approaches you while at a bar, or anywhere really in Cambodia, you can basically assume that she is a freelancer. In the context of meeting guys, traditional Cambodian girls would never approach first. Freelancers have the benefit that you don’t need to pay a bar fine, and you may be able to negotiate a lower rate, but, you also have no security. There are lots of horror stories, including stolen money, phones, etc. So, take care. Massages are quite cheap ranging anywhere from $6 and up. If you head out of town a little bit to the local haunts, you’ll see advertisements for 10,000 Riel, or 2.50 USD. Some places are all above board but there are several where the girls will proactively ask if you’d like more. Happy endings in exchange for a tip given directly to the girl will range anywhere from $10 and up. usually, the dingier the place, then, the more chance of extras being offered. Get onto a good dating site and download a couple of apps, I have listed many here. That’s a great place to start. There are also numerous bars in the city, but note, you are likely to come across a lot of freelancers too. Popular bars and clubs include The Lounge at Riverhouse, Rooftop Bar at the Quay on weekends, Paddy Rice, Heart of Darkness nightclub, White Cobra, and Pontoon Nightclub. Siem Reap is nowhere near as established as Phnom Penh and is also much more conservative surprisingly. There are no ‘bar girls’ to speak of and when you go to the bars you’ll find most girls dress quite conservatively. Don’t fret, there is one bar where girls register with the bar and it has some very pretty young girls there, it’s called Pattaya Bar. It’s a little out of town but a tuk-tuk may take you for free as they will get a commision from the bar owner. Drinks are pricey at 3 USD for a beer and the bar fine is 10 USD with the girls asking for 60 USD one hour. Other than Pattaya bar, you’ll find freelancers roam the pub street area from around 10 pm onwards. When I say roam you’ll need to look in Drynk Bar, Draft Bar (also inhabited by Ladyboys), and Mikey Bar, which are all on Sok San Road. No bar fines and girls will ask from 40 USD and up for the hour. Most girls will approach you, and most bars have pool tables where you can invite them, or they’ll invite you, for a game or just sit and have a chat. It’s very social and the girls do like to socialize and suss you out a bit before heading off. Many of these girls are not professionals in a true sense, more so they are just girls making ends meet and saving for a better future. Freelancers will often roam through other bars like X Bar, Cheers Bar, Beatnik, Cosy Bar, and Angkor What bar. There are lots of massage places, much the same as Phnom Penh, at 6 USD and up, and 20 for a happy ending. Again, the more upmarket the place the less chance of extras. You will find a lot of girls standing out the front of a massage shop on the corner of Night Market Street and Sivatha Blvd. The place has quite a reputation, they only approach single guys offering 3 USD massages in an aircon room. Get upstairs and apparently, you’ll get three girls massaging you and working you over to extract any money they can. Usually harmless fun. Pay more for a happy ending and the young ladies will sit back while an older lady does the business. They are not shy, they will hit you for 100 USD and beyond. You can skip that one or wind them down to a 20. There are several other massage shops on that street doing the same, bar the one at the very end near the night market which is family friendly. There are also a couple of KTV’s that operate as de facto brothels, any tuk-tuk driver will know where to take you. The bigger one will offer you a line-up, make the choice, give the mamasan a tip and follow the girl to a nearby short time hotel. Note the girl will not leave with you, she’ll go separately and meet you at the hotel. All up for the hour you’ll pay the hotel 10 USD, the girl 60 USD and the mamasan 10 USD. Sihanoukville has always been a very different place to both Siem Reap and Phnom Penh. Girly bars abound and you can find them in Sihanoukville Square mostly, along with Victory Hill and Pub Street. You won’t be able to miss them. Prices are very similar to Siem Reap and Phnom Penh. Freelancers also hang out at the bars alongside bar registered girls. Many young girls will like to hook up with guys who come to Sihanoukville, not due to them liking foreign guys, but simply for the fact that someone can look after them. If you throw money around it’s pretty easy to get a girl to follow you about. To be honest, most Khmer girls are very conservative. They won’t have any interest in foreign guys because they know you are not going to be around that long, and they only think long term. Although, if you have proved that you are sticking around, have good finances and future prospects, then a girl may well be interested in you. Girls nearing 30 will keenly show an interest as they are desperate to find a partner before entering the new phase of life. Also single mothers. 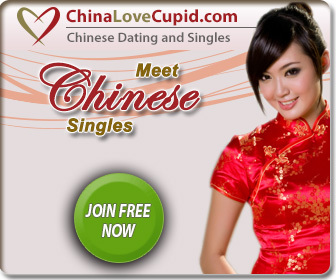 As both find it difficult to find partners. Don’t expect any easy hookups, unless you are Brad Pitt level handsome, as they can get that locally anytime they want. They are looking for long-time commitment which will begin with a financial statement of a pricey chunk of gold or jewelry. Jewelry shops are winners here. They sell overpriced Khmer style gold jewelry for this very purpose. The girl is not looking for value for money, this is a cultural thing, it’s more about the fact that you dropped such a significant amount of change on her. It shows her how you value her, and she can show that off to others. It’s also an indication of how you are going to support her into the future. Permanent relationships also lead to support for the family. Don’t underestimate the cultural obligations here. More about all that in future posts where I’ll talk about the true beauty of genuine Khmer women and their wonderful culture.